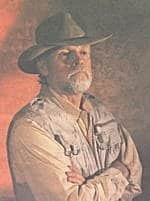 Over the past fifteen years the Turkish government, through the Noah’s Ark Commission, has cooperated with Ron Wyatt on obtaining and evaluating structural specimens from Noah’s Ark. One of these specimens was a piece of fossilized deck planking, which many of you have seen on the up- dated Noah’s Ark videos. 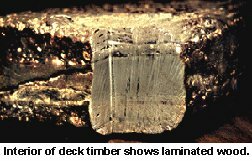 The most recent news in regards to this specimen is that thin sections have been cut from this deck timber for microscopic examination. As you can see in the photo that we have provided below, a corner section was cut out from this incredibly hard fossilized deck timber. The Aramaic root word for the Hebrew word “gopher wood” means laminated wood (this is when layers of wooden boards are glued together one upon another to provide extra strength), and when these cuts were completed, it was plainly evident that at least this portion of the deck planking is laminated wood! The excess of the cementing substance (the “glue” used was resin, which was made from tree sap) was squeezed out the end of the plank, hardened, and has remained in the fossilized form. Until this cut was made, it was merely assumed that the dripping material along the outer edge was the pitch placed on the outer surfaces of the deck timbers and the rest of the boat. But now the amazing fact has come to light that the construction methods used by Noah to build the ark included laminating. Further documentation will appear in an updated version of the book “Discovered: Noah’s Ark,” and in the upcoming video that we will release on Noah’s Ark. For approximately six thousand years planet Earth has been under the vicious tyrannical rule of Satan the usurper. God, the Creator of the universe, has prevented the unbridled terror of Satan’s will to be fully enacted. You and I, dear reader, have been participants in the once-in-eternity demonstration that the perfect Law of our perfect God cannot be set aside without terrible results. God has written His sacred Law with His own finger, not once ,but twice in stone. For nearly six thousand years Satan and his followers have been trying to do away with that Law. The result is a planet polluted to the point of being nearly uninhabitable! Experiments in biological warfare and biogenetics have developed the AIDS viruses and resistant strains of old killer diseases that were once thought to be eradicated. Our ozone layer is rapidly depleting, and knowledgeable scientists believe that there is already enough fluorocarbons in the atmosphere to destroy the remaining portion. Nuclear weapons have fallen into the hands of fanatics who will not hesitate to use them. Crime is increasing by exponential proportions, and those responsible for the well- being of Earth’s inhabitants are too busy satisfying their lust and greed to make the effort necessary to change or slow the destructive forces. In fact, they have become destructive forces. 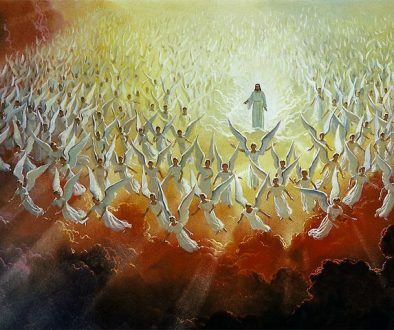 If the prophecy in Revelation 11:18 is to be fulfilled, that the Lord “shouldest destroy them that destroy the earth,” it must happen soon. God has allotted a thousand years for each day of Creation (2 Peter 3:8) for this rebellion to be finished. The time for the seventh “thousand years” is nearly upon us! And God will “this once” (Jeremiah 16:21) show His truth to the whole world and give us one last opportunity to cooperate in our salvation. The statement, “How shall we escape if we neglect so great salvation” (Hebrews 2:3) will be manifest. There are currently five billion plus people on our planet, and this number equals the estimated number of those who perished in the flood. Satan has been tireless in his use of his invention, the LIE. “Darkness covers the earth, and gross darkness the people.” (Isaiah 60:2) However, in spite of that curtain of lies, God has effected the salvation of all who respond to divine urgings to do that which is right, even though their knowledge of “right” is limited. Each of the billions inhabiting our world are the product of where they were born and who influenced them during their “formative” years and God considers this fact in the Judgment (James 4:17). Today, however, we live at the time when political boundaries are dissolving and we now possess the technology to present God’s truth to the whole world! THE WHOLE WORLD! The archaeological remains and sites of many of the major historical events mentioned in the Bible have been found and documented. 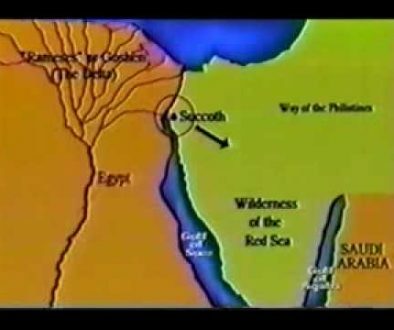 NOAH’S ARK, SODOM and GOMORRAH, how Joseph (Imhotep) built the first pyramid, the RED SEA CROSSING SITE, the true MOUNT SINAI, and the greatest treasure of all, the ARK OF THE COVENANT with Christ’s blood on the Mercy Seat, and God’s TEN COMMANDMENTS! What a glorious time to be alive! To actually be able to see these wonderful things and to be able to present them to the inhabitants of the Earth! “All scripture is given by inspiration of God.” (2 Timothy 3:16-17) There are many more similar texts assuring us that the Bible has been preserved by God and that His Word is a lamp unto our feet and a light unto our path. (Psalms 199:105) However, care should be taken in choosing which version of the Bible to trust! THE ORIGINAL AUTHORIZED “KING JAMES VERSION” IS THE ONLY TRANSLATION THAT HAS NOT USED THE FAKED CODACES (SINAITICUS, ALEXANDRINUS, AND VATICANUS), or was “edited” by individuals or organizations who slanted their translation. We are at the end of history when God has chosen to reveal through undeniable physical evidence many of His miraculous interventions in the affairs of men. By this means, through the convincing power of the Holy Spirit, He will show all who love the truth that He is the Lord of the universe! 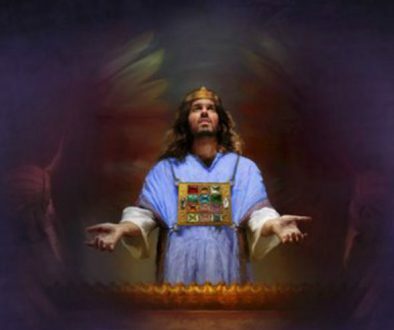 At the same time this will leave those who “love not the truth” “without excuse.” (2 Thessalonians 2:10; Romans 1:20) The object of this newsletter is to present the documented evidence of these divine interventions. I am overwhelmed with the privilege of discovering and documenting these important sites and objects. I believe that the reason I was allowed this privilege was because I am the most unlikely prospect — ( “But God hath chosen the foolish things of the world to confound the wise…” 1 Corinthians 1:27) — No one can ever say that these things were discovered and documented by “human skill” or intelligence alone! If any reader would like to submit a thought or suggestion to include in a future newsletter, please send it. But due to time constraints and the large amount of mail we receive, we regret that we cannot respond to individual correspondence. We have found that there is a universal positive response to these discoveries, and we believe that they have been miraculously preserved by God to get the attention of the entire world. Personally, were I not already involved in documenting and presenting these archaeological treasures, I would give both eyeteeth and my right arm up to my elbow to be involved in it! May the Lord bless you as you prayerfully ask His guidance in this matter.